Our Private Label VoIP solution enables VoIP entrepreneurs to quickly and inexpensively capitalize on the booming VoIP business. Our proprietary and innovative software solution was built from the ground up and is fully hosted in the cloud. This means no large capital expenditures or overhead expenses are required to own, operate, maintain or troubleshoot a switch. You can now have a fully enabled VoIP switch with all the functionality and features that residential and business customers demand. possible. For this reason, we have built unprecedented automation into every business function. Daily tasks such as account sign-ups, support, number porting, account notifications, and more, have been 100% automated! Our uniquely designed VoIP services give VoIP entrepreneurs access to thousands of rate centers across the US and Canada. We have aggregated all the top carriers into one ubiquitous network and we maintain a DID inventory of well over 500,000 DIDs, covering the US and Canada. Our Private Label services also come standard with e911, CNAM, 411 listings and more. To learn more about our Private Label program, fill out and inquiry form or call us directly at 877-478-6471. As a VoIP entrepreneur, having a single phone line replacement is an essential part of any VoIP services offering. Private Label VoIP provides you with both a residential and commercial offering for your clients. This solution is ideal to use for traditional phone line replacement because you can easily provision a single line replacement to any ATA (analog telephone adapter), IP Phone, or softphone device, and you’re done. 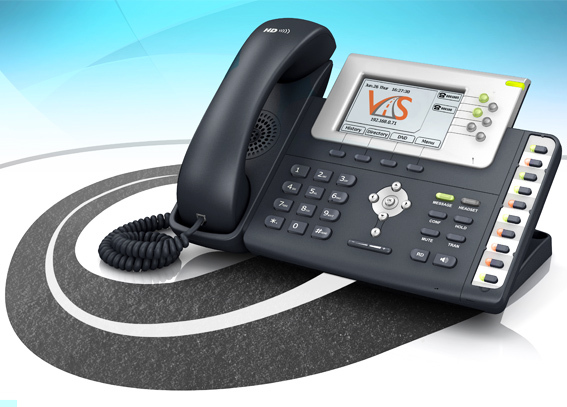 Each VoIP line also comes with 2 channels and a standard set of features. Each line is managed using our innovative Private Label BackOffice and your customers have the ability to add multiple lines under one account, which is ideal for adding additional family members and/or co-workers. Each line is provisioned with E911 and 411 listing services and your customers have the ability to add as many virtual numbers as needed, all in real-time. With instant access to over 8,500 rate centers and 500,000 DIDs in the US and Canada, you can’t go wrong. SIP Trunks are quickly replacing PRI’s and traditional telephony services in the enterprise sector. Many businesses operating a premise based PBX have made the switch to SIP Trunks, due to the price. As a VoIP entrepreneur, having a SIP Trunk service is an essential part of any VoIP service offering. Selecting the right carrier is important for call quality and functionality. Our VoIPstreet Private Label VoIP solution allows resellers to offer a SIP Trunk product for premise based IP PBX's. VoIP entrepreneurs can now quickly provision and deploy SIP Trunks for their customers in real-time and on the largest US and Canadian VoIP DID network. Our SIP Trunk product gives your customers 2-trunks with unlimited calling to the entire US and Canada. Each account has instant access to over 8,500 rate centers and 500,000 DIDs. Your customers have the ability to register on-net (our DIDs) and off-net (other carrier DIDs) DID's to our robust E911 service. On top of that, they also have the ability to provision 411, CNAM storage, and other important features, giving them a complete SIP Trunk service. Hosted PBX phone systems are quickly becoming the choice for many SOHO (small office home office) and SMB (small business) companies. A Hosted PBX solution offers large company features to the small business sector. As a VoIP entrepreneur, having a Hosted PBX service is an essential part of any VoIP services offering. Our VoIPstreet Private Label VoIP solution offers resellers a full turnkey Hosted PBX platform with all the major features your end users will need. Our solution is cloud-based, fully hosted, completely automated and simple to use. Our Hosted PBX platform provides all the essentials components your customers will need. These PBX components include the ability to create extensions, auto attendants, hunt groups, call transfers, find me/follow me and more. Any SIP compatible end user device will work with our platform and the system allows your customer to have a PBX administrator and multiple extension users. There are few Private Label Hosted PBX systems on the market today, but only VoIPstreet can offer you the network, quality and pricing that your customers would expect. Our automation tools, industry experience and vendor relationships have helped us create a robust and affordable solution for VoIP entrepreneurs wanting to offer a Hosted PBX system to end users. Our VoIPstreet Private Label VoIP platform provides three VoIP services to offer your customers. Below you can compare end user features for each service offered by our Private Label platform and choose the best fit for each customer. These services are offered through our innovative Private Label BackOffice.